No matter where you are in your journey, your safety is always important to us. Beyond simply making luxury vehicles, we're also committed to designing technology to keep you and your loved ones safe every step of the way. While an ordinary crash test dummy provides 119 data points, we use digital models that have two million. This provides a better understanding of the human body upon impact, and enables us to develop safety innovations that safeguard you and your passengers on the road. When lives are at stake, there’s no such thing as too much safety. That’s why we’ve designed safety features to build your confidence through every phase of your journey, from the moment you enter your Lexus right until you finally reach your destination. 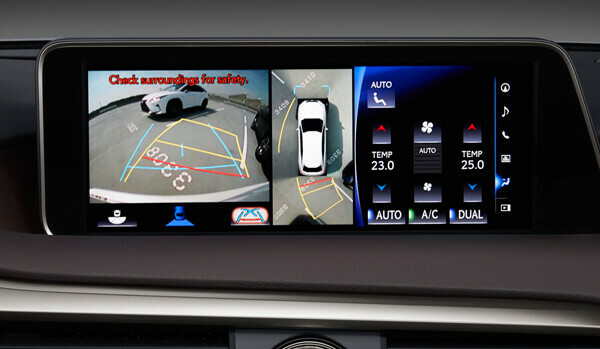 When backing out of a parking space, the backup camera displays your rear view on the multimedia display and the Rear Cross-Traffic Alert alerts you of vehicles approaching from either side. 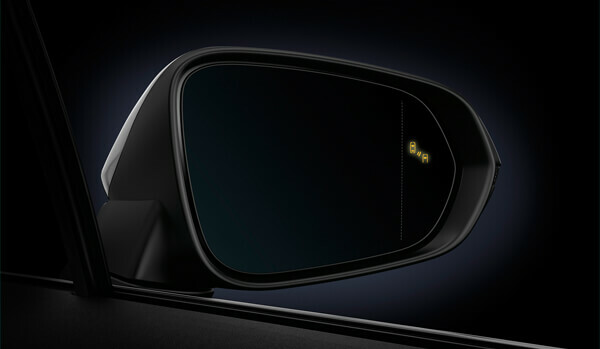 The Blind Spot Monitor detects and warns you of vehicles approaching or positioned in adjacent lanes, helping you to change lanes with confidence. 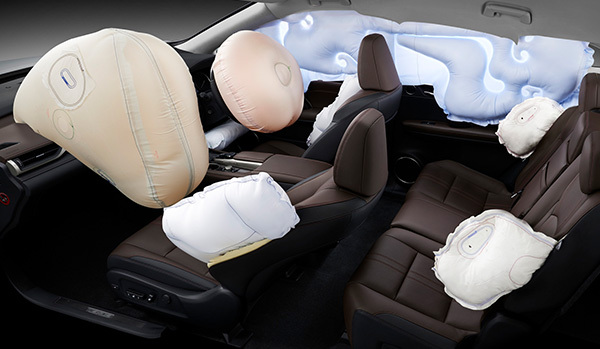 The front passenger's airbag features two chambers, creating an indentation in the center impact area that helps to provide occupant protection in a severe frontal collision. 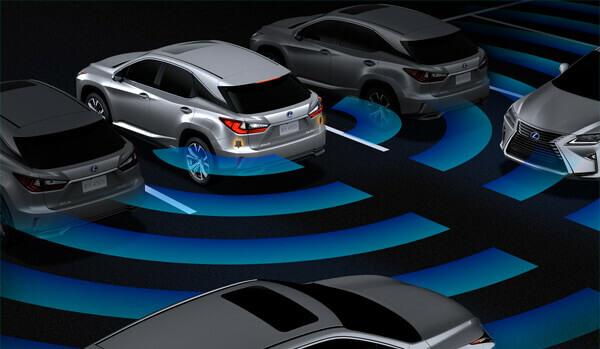 Intuitive Parking Assist detects and notifies you of surrounding objects using audible tones and an indicator on the multimedia display, helping with routine tasks like parallel parking. The above specifications may vary, depending on the model and region. When leading edge design and technology are applied with thought, L-finesse is the answer.